At Ithaca Tompkins Regional Airport (ITH), we pride ourselves on the excellent service with which our employees provide our beloved customers. A happy customer sent us a letter about Trudy Stevens, the front desk manager of United Airlines. Kudos to Trudy! 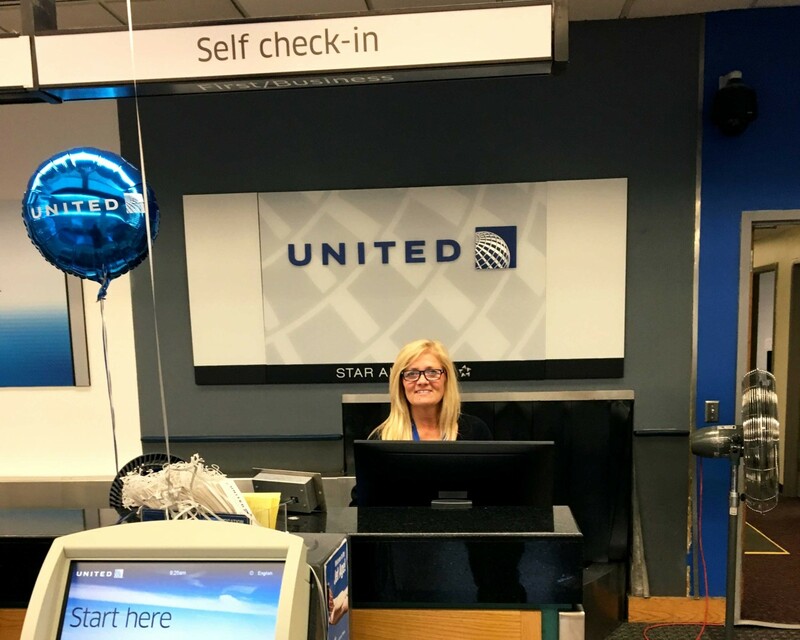 Last week I was in Ithaca NY visiting my family and upon my return trip home I met a woman named Trudy Stevens who is the desk manager for United. Trudy checked us in and sent us on our way with a warm smile and playing cards for my kids. Shortly after going through security, we were informed that the plane was delayed. This delay would cause us to miss our connecting flight in Newark. Trudy found us in the terminal and immediately began working on finding us flights home. After waiting an hour the plane was fixed and we were about to board when my son who has stomach migraines began to show signs of having an episode. Trudy had booked us on to another flight leaving later in the day but as I watched my son begin to cry in pain I knew we weren’t going to be able to board the flight out of Ithaca to catch that flight. We ended up having to leave the airport immediately and Trudy was right there to help. She had our bags pulled, made the gate attendant aware of the situation and gave me her personal cell phone number to call when we were able to leave. I called her later that day and she had not only rebooked us on another flight but arranged a transfer to the airport. Unfortunately my son was very sick and we were unable to take that flight. She called me to see if we needed anything else and even said that I could call her to get a refund on the tickets we never used. My family and I fly often and have travelled around the world. In our travels we rarely meet individuals who take the time to not only help but who truly care, especially in the airline industry. Trudy was a life saver and her concern for my four children was so touching that I felt the need to let you know what an amazing employee you have. I hope that you share this with her.